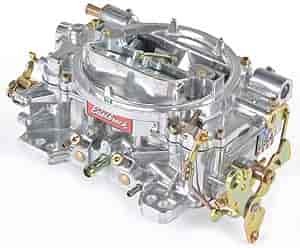 Engines depend on carburetors to perform well under all conditions. An adjustment error can affect the entire engine. An Edelbrock Performer Carb can handle daily driving while providing the widest torque range. For unmatched street performance, add an Edelbrock Performer, Performer Air-Gap, Performer EPS, Performer RPM, RPM Air-Gap, or Torker II Intake Manifold and Camshaft. Does Edelbrock 1412 fit your vehicle? 1412 is rated 5.0 out of 5 by 1. Rated 5 out of 5 by Joew48 from Great deals and great people to deal with. Can't believe how much better my car runs with the new 1412 edelbrock carbs. Edelbrock 8008 - Carburetor Stud Kit 5/16" -18 x 1-1/2"